The International Finance Corporation (IFC) has signed an agreement with the Zambian government for the development of two solar independence power projects, a statement seen by Xinhua on Thursday said. The IFC, a member of the World Bank Group, has signed the agreement with the Industrial Development Corporation (IDC), a Zambian government agency responsible for development projects, for the development of two 50 megawatts each solar PV power projects. The projects would be Zambia’s first utility scale PV projects, providing competitively priced, clean power that would reduce the country’s dependence on hydro resources and diversify the country’s energy supply mix, according to the statement released by the IFC. According to the statement, the first two projects, with a combined initial target capacity of 100 megawatts will create the opportunity for subsequent expansion and the rapid scale-up in renewable energy generating in the southern African nation. Zambian President Edgar Lungu has directed the IDC to develop at least 600 megawatts of solar power in the shortest possible time to address the current power crisis. Zambia is currently facing a 560 megawatts power deficit due to low water levels in its reservoirs caused by low poor rains. About 90 percent of Zambia’s power comes from hydro. 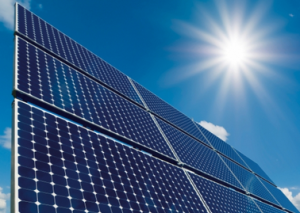 The statement added that both projects would engage Zambian partners in the ownership structure, with the commercial structure expected to follow IFC’s recently launched Scaling Solar initiative. “IFC is developing this partnership with IDC Zambia to deliver affordable renewable energy that can mitigate the country’s ongoing energy crisis,” Oumar Seydi, IFC Director for Eastern and Southern Africa said in the statement. The Scaling Solar program enables us to apply the full range of World Bank services to address Zambia’s challenges quickly and sustainably, he added.